Race Training allows skiers of an already competent standard to develop the skills and techniques needed to ski at a competitive level, representing Pendle Ski Club. We have a progressive training structure that takes those just beginning race training right through to national competition. You cannot just attend race training. Acceptance onto the sessions is only open to those aged 7 and above and is subject to a coaches assessment. Assessment sessions, of approximately 30 minutes, are held from 8.30am on the 1st Sunday of the month in November, December, January and February. At the end of the assessment you will be informed of the decision regarding which session to attend. We ask that you book onto an assessment in advance by contacting the coaches at pendleskiraces@live.co.uk. Please note that an invitation to race training and progression through the sessions is at the race coaches’ discretion. This is an introduction to race training and we anticipate most skiers will start in this session. It is highly recommended that participants should also continue with their recreational lessons. Minimum standard for 7 – 11 year olds is Snowlife Award level 3. The skier should also have the ability to ski confidently and in control from the top of the main slope and use the tow unassisted. Minimum standard for those 12 and above is Snowlife Award level 5. This means that they should be consistently making parallel turns. Progression from Development 1 to Development 2 will be made when the race coaches feel the skier has reached the required level. Skiers should, at least, be aspiring to race in fun races. It is highly recommended that participants should also continue with their recreational lessons. Progression from Development 2 to National Squad 1 will be made once the race coaches feel the skier has reached the required level. Skiers should have been participating regularly in fun races. 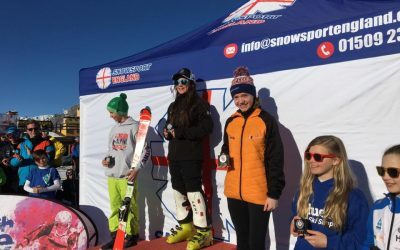 They will aspire to become a registered athlete with Snowsport England and compete at a national level. Progression from National Squad 1 to National Squad 2 will be made when the race coaches feel that the skier has reached the required level. Minimum age of 11 years and attained Snowlife level 7. Skiers should have been participating in national races for some time and begun competing at the highest level. It is expected that the skier will be a registered athlete with Snowsport England and eligible for seed points. 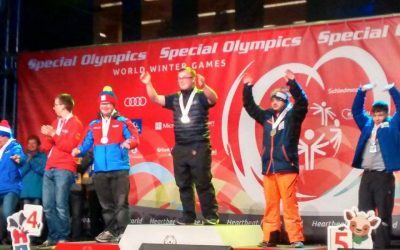 Pendle’s David Corr wins Gold! Pendle Racers make the headlines again!